Gold has long been a sign of beauty and elegance. Commonly used in jewelry, it is now becoming a popular skin care ingredient. Below are some benefits that it can have on your skin. • Reduce wrinkles and fine lines. Gold can increase the elasticity of your skin helping you to look younger. • Anti-aging benefits. Reduces the likelihood of dryness and slows down the reduction of collagen in the skin cells. • Can lighten complexion. It can enhance the appearance of the skin by minimizing irregularities and smoothing skin tone. • Treats age spots and sun damage. Lessens the production of melanin in the body which is responsible for tanning of the skin when exposed to sunlight. 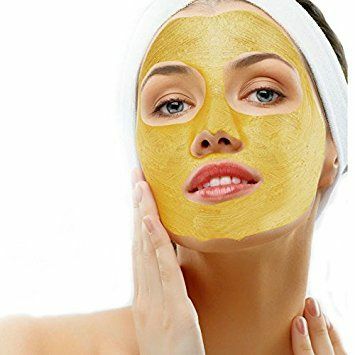 These reasons are all the more incentive to add gold to your skin care routine and now at the Neiman Dermatology Building we exclusively offer the DermCare NP 24K Gold Mask. To learn more about it or to order yours, call 716-688-0020 today.